Enjoy Valentine's Day with Romantic Holiday 3D Screensaver. It is absolutely free for everyone! 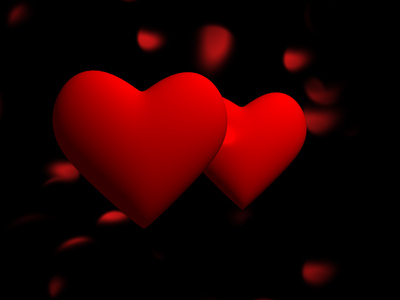 You will see two 3D animated hearts dancing with each other. Colors of this screensaver are red and black. Background is very unusual - a lot of smaller hearts with blur and some modifications are flying from bottom to top. Light effects are also included in this free screensaver. You can use this screensaver on every day you want, not only on Valentine's Day. Just try and you will see! Romantic Holiday 3D Screensaver is compatible with any desktop Windows PC and any screen resolution. Surprise your sweetheart with new animated 3D screensaver!